Vraiment monumentale cette composition ! All are tremendously outstanding!!! Super well done work!!!! Oh! Great! I will watch. Thank you, and you are welcome!! 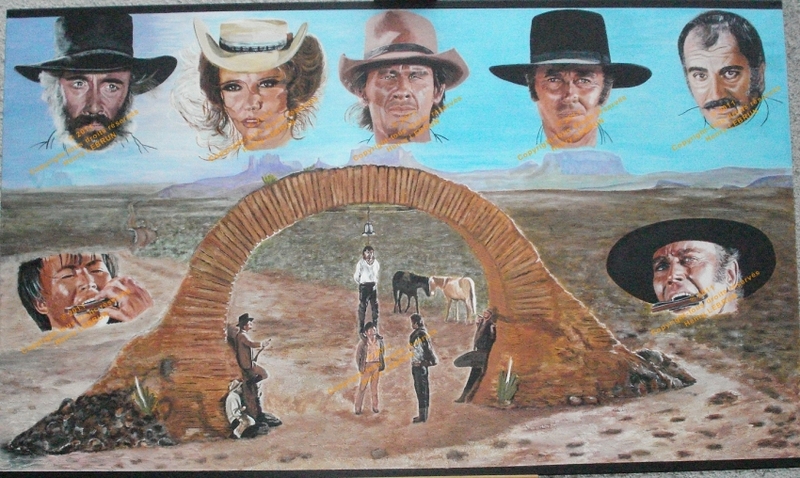 A brilliant artistic tribute to one of the greatest westerns ever made. Wow!!! What a Good work!!!! Hello Henry .....You are absolutely brilliant ..I watched the utube and marveled, simply amazing the detail and likeness you are just plain brilliant .I should stop to draw and just enjoy you..... and love d the music accompaniment. to the utube .so full of feeling..